From the internet to games and cinema, a true geek must have the wisdom to rule them all. Take this test and find out how much of a geek you are. You are what you wear. 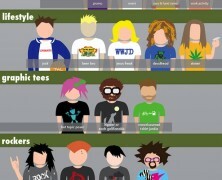 According to this infographic the type of t-shirt you choose is distinctive of certain stereotype personas you are likely related with.